Jacques Offenbach's grand fantasy opera, The Tales of Hoffmann is considered by many to be his "masterpiece" and is based on three short stories by the German author and poet E.T.A. Hoffmann, who is also the opera's main character. 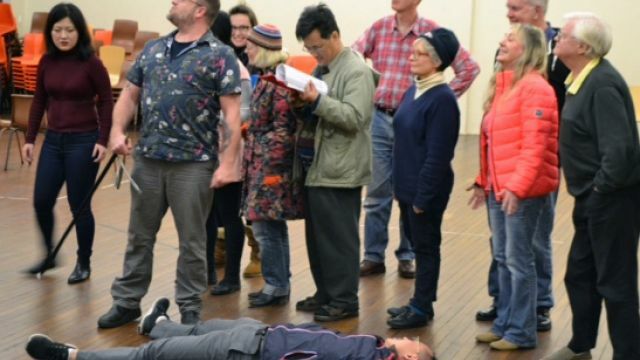 A firm staple and favourite in the repertory of opera companies worldwide, Rockdale Opera Company have chosen to present The Tales of Hoffmann for their 70th anniversary year. The opera is filled with wonderful and dramatic opportunities for superb singing from a large cast of principals together with the ensemble. Amongst its most familiar music is the celebrated Doll Song and the very well-known Barcarolle. Director David Brennan has performed as a leading artist for all major Australian opera companies and was a resident principal at Opera Australia from 1988 to 2001. We sat down with David to chat about his vision for this production and his own celebrated operatic career, and the advice he would give to young singers. Why did you want to direct/musically direct this production? I’ve loved this opera since I was privileged to be cast in it in Adelaide in the 1980s. I love its variety – wonderful humour, sheer musical beauty, and terrifying drama. This is a great opera, and I believe that great operas speak for themselves. So my main job is to tell the story as clearly as possible and to give this cast of (mostly) young performers a chance to use their wonderful skills as singers and actors. Of course, with limitations on budget and theatre resources, you have to make every bit of scenery and costume work overtime. So I’ve tried to keep the stage design fairly minimal and set the costumes in the 1910s, which was a period of wonderful elegance but also restraint. Are there any particular challenges in the score? Only a few hundred! The opera is set in four completely different places, with different characters in each act, so it’s a very big cast and we need to evoke the various localities and moods. It’s a piece that places huge vocal demands on the main singers, especially on the performer singing Hoffmann. Luckily, we have Ben Oxley, who is magnificent in the role. What is your favourite part of the opera? The last of the three Tales is a kind of ghost story – about a beautiful but fragile young woman pursued by a sinister ‘doctor’, who conjures up the spirit of her late mother and brings about her death. The music is ravishing and gripping by turns. I was lucky enough to be starting out just at the time when regional companies like the State Opera of SA and Victoria State Opera were getting going – they were keen to give opportunities to young performers and I had access to wonderful opportunities. Before that, I’d had great experiences in amateur and semi-pro organisations in Canberra and Melbourne. I’m really grateful for that. Why should people see this production? We have managed to find an extraordinary group of singers. I genuinely think we have some future stars in this cast. Alongside them, there are some really experienced performers – people like Ben Oxley, who sings with such passion and beauty, and seasoned singer-actors like Gordon Costello. It’s a privilege to be working with them all. What advice would you give to people aspiring to sing operatic roles? First, you need to find a teacher you trust, who will give you a good technical grounding together with good advice and encouragement. One size doesn’t necessarily fit everyone! Next: grab every opportunity to get performance experience! Not just opera – though of course that has to be your priority – but plays, musicals, concerts, music theatre. 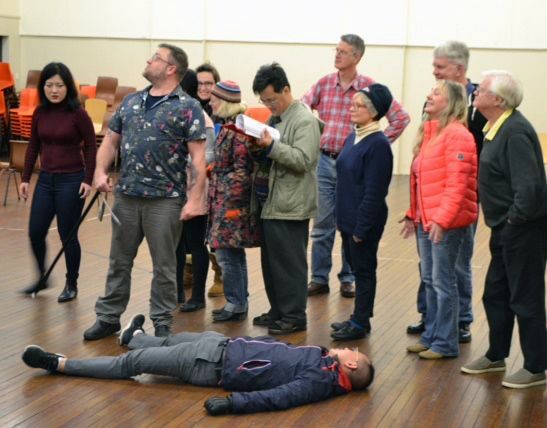 One of Rockdale Opera’s great contributions over the last 70 years has been to give young singers a chance to get experience, learn roles, try things, and be part of the acting-singing community. I’m so impressed with their determination to keep on doing just that.